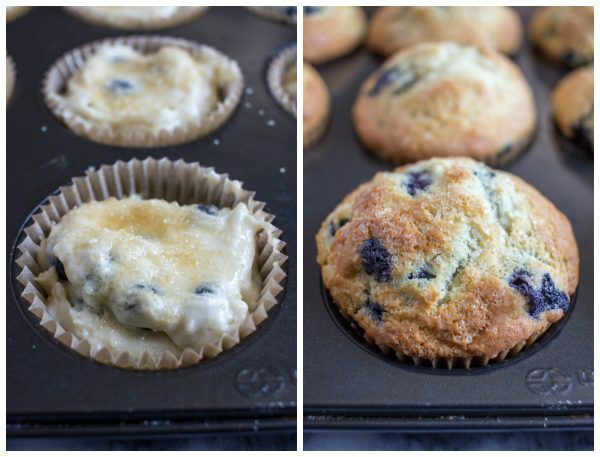 I am spilling the secrets to baking muffins with bakery style muffin tops and sharing an easy basic muffin recipe. Bookmark this recipe – you will be using it again and again. I have been a woman on a mission. 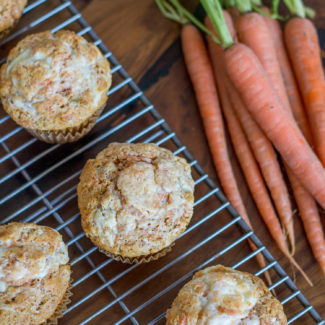 A mission for muffin tops… on actual muffins. After five failed attempts, I have learned how to bake muffins with muffin tops at home! 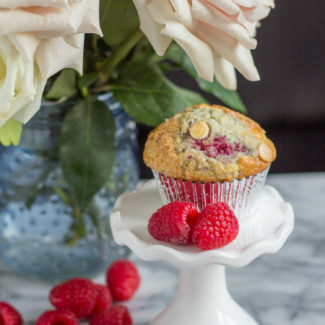 These muffins have crispy sugar coated domed tops, just like the muffins at bakeries! I started with a recipe that I found online, but it was terrible. The result was flat sad muffins, not a beautiful baked good that you are excited to eat. I settled in and did some research. I learned that the recipe I was using didn’t have enough baking powder, baking soda, or flour. Another major issue was the fact that the oven needs to be hotter – 425 degrees – when you first start cooking the muffins. It is incredibly important to fill the cups of the muffin tin all the way. To the very top. 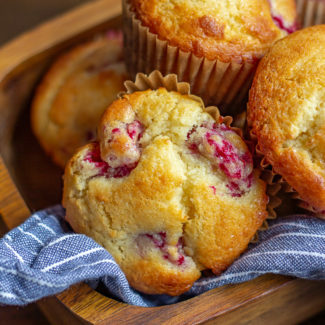 This recipe makes only 9 muffins, but they are big glorious muffins. 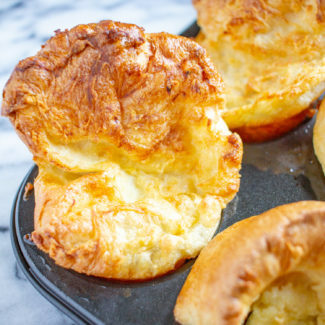 You need to fill the batter to the top to achieve those muffin tops! It won’t become a leaky mess that burns in the bottom of your oven, I promise. Just follow this recipe exactly. 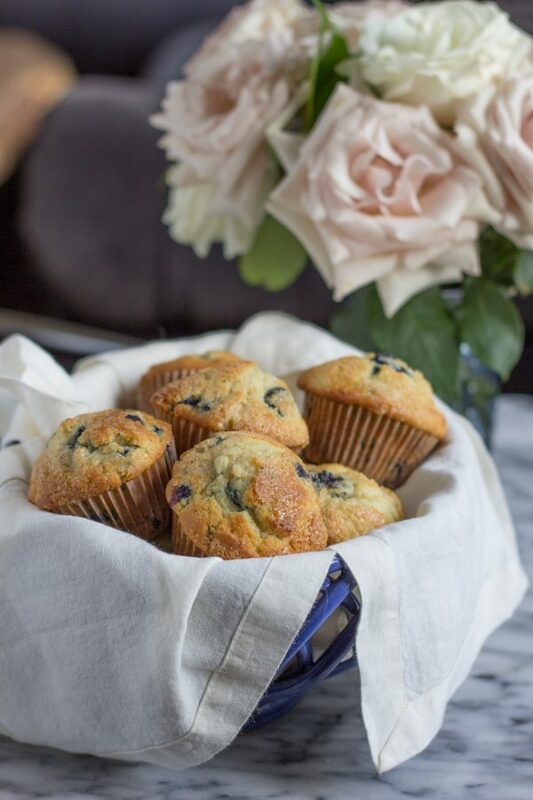 My basic muffin recipe makes cakey muffins with a subtle vanilla flavor. They aren’t overly sweet, which is intentional since you will probably be adding some fruit. 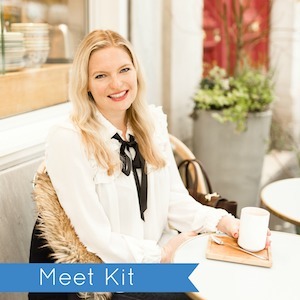 I know that I often encourage you to make changes to recipes to make them your own. That is fine when you are cooking. But this is baking. Baking is a science. This is the time to break out those measuring cups and follow instructions. 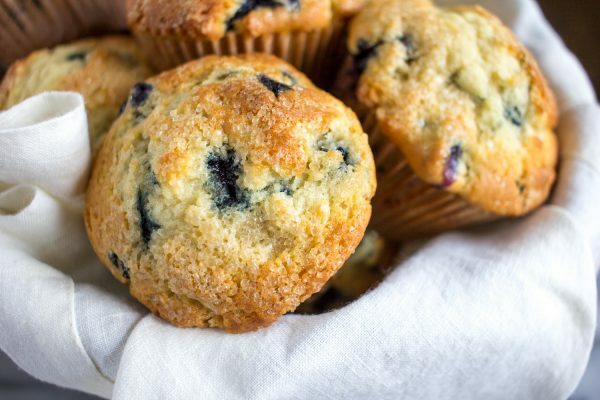 You can be creative when it comes to the fruit, nuts, and other mix ins you add to your muffins. You want to add 1 1/2 cups of berries, and you can opt to add 1/2 cup of nuts or other mix ins. While I have tested this recipe with three different types of fruit, there are some things to keep in mind. I live in Chicago and haven’t tested this recipe at high altitudes or higher levels of humidity. Make sure your baking powder and baking soda are less than 6 months old – otherwise they may be less effective. Lastly, I don’t recommend adding strawberries, they get too mushy and the end result isn’t great. 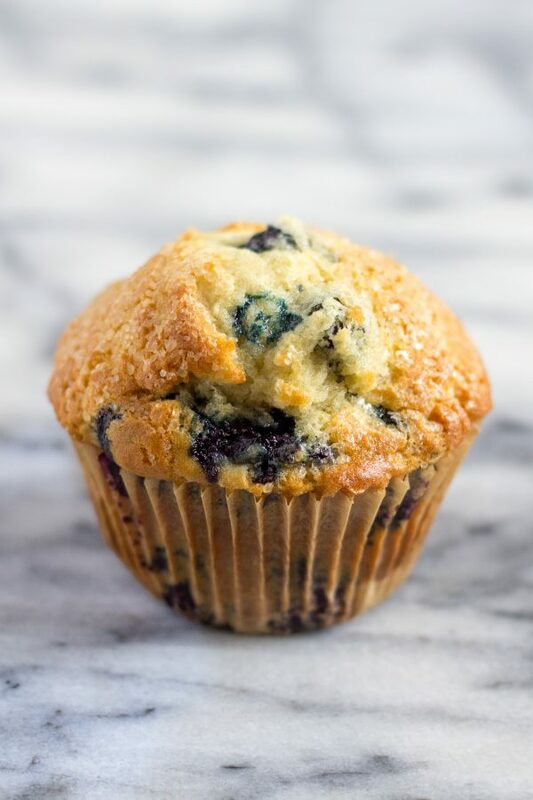 If you don’t want to use my basic muffin recipe – that is fine. Here are a few pieces of advice that will help you find muffin top success. I found that the ratio of 2 1/2 teaspoons of baking powder and 1/2 teaspoon of baking soda per 1 1/4 cups of flour to works best. 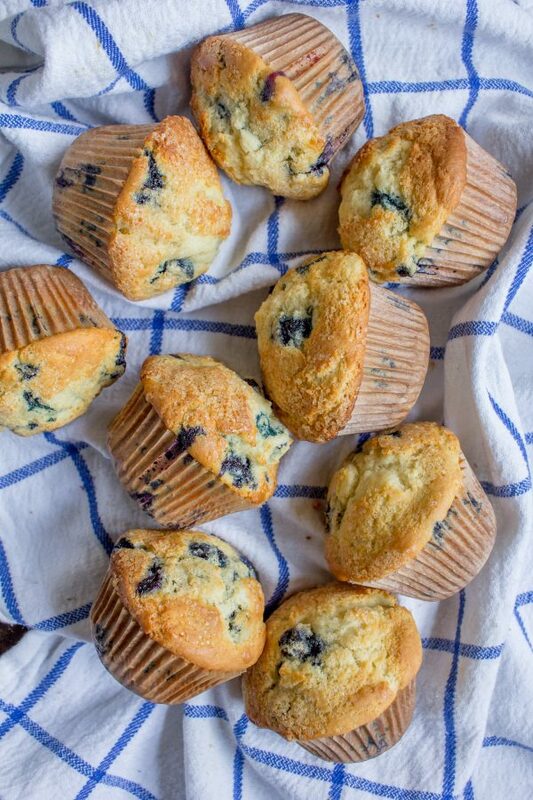 Cook your muffins in the top third of the oven, and start the temperature at 425 degrees. Turn your oven light on, and watch as the muffins rise and brown. Once you have beautiful muffin tops turn the temperature down to 350 degrees (or whatever your recipe specifies). 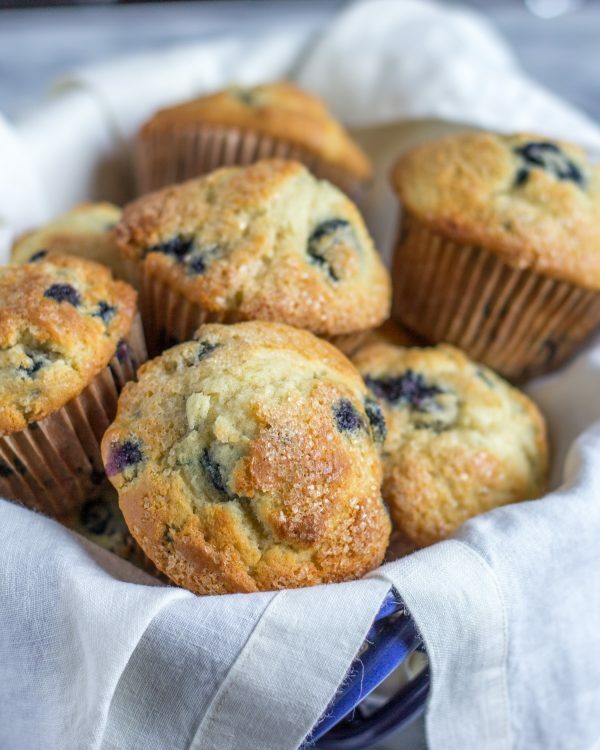 Learn how to make perfect bakery style muffins at home with this basic muffin recipe. Heat your oven to 425 degrees. 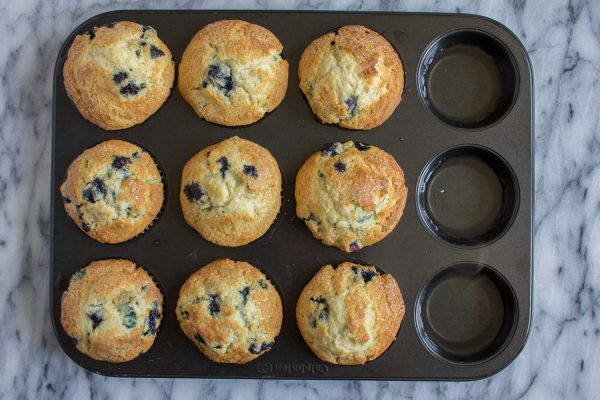 Fill a muffin tin with 9 muffin liners. Then use an electric mixer to combine the butter and cream cheese. Once well mixed, add the granulated sugar and mix on a medium high speed until the mixture is fluffy. This will take about 2 minutes. Add the egg, egg white, and vanilla and beat until it is just combined with the butter, cream cheese, and sugar mixture. 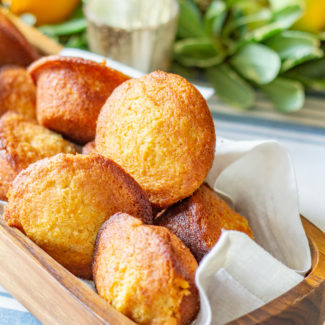 In a separate bowl, combine 1 cup and 3 tablespoons flour, with the baking powder, baking soda, and salt. Remove the bowl of the electric mixer, you want to fold everything together by hand. Fold the flour mixture and buttermilk into the ingredients in the bowl from the mixer. Stir in a third of the flour mixture, then half the buttermilk, another third of the flour mixture, the remaining buttermilk, and then the remaining flour mixture. Fold together until it is just mixed - don't over mix. Let the batter sit for 15 minutes. While the batter is sitting, pour the berries and other mix ins into a bowl. 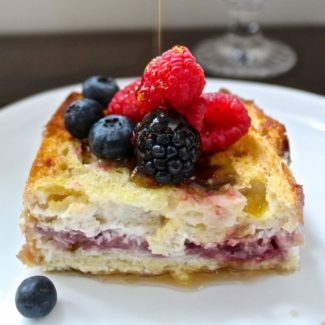 Dust with a tablespoon of flour, and gently mix coating the berries in flour. This prevents the berries from sinking to the bottom. After the batter has rested, fold in the berries and other mix ins. 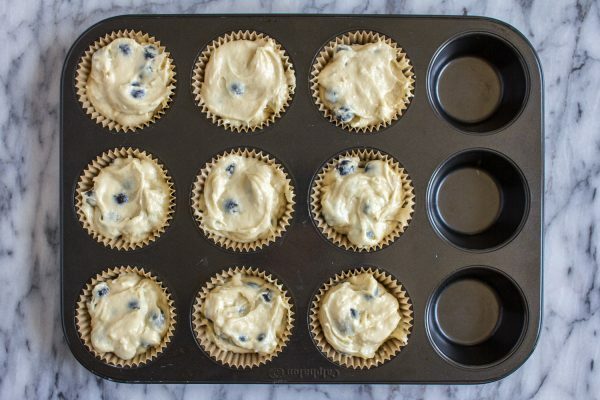 Pour the batter into 9 muffin liners, filling them all the way to the top. Then top with the melted butter and raw sugar. Turn your oven light on, and place the muffins in the oven to bake. It will take 10-12 minutes for the muffins to rise and the muffin tops to brown. At this point, reduce the heat to 350 degrees (don't open the oven though). Let bake for another 5-7 minutes. 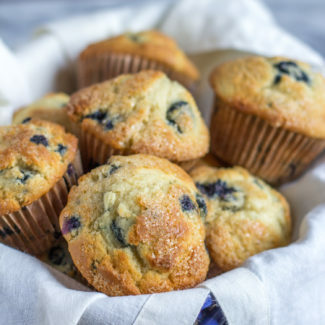 Remove the muffins from the oven, let cool for 2 minutes, and then place the muffins on their side on a towel to finish cooling. This prevents the muffin tops for sinking as they cool. Inspired by this recipe, that really didn’t turn out very well. 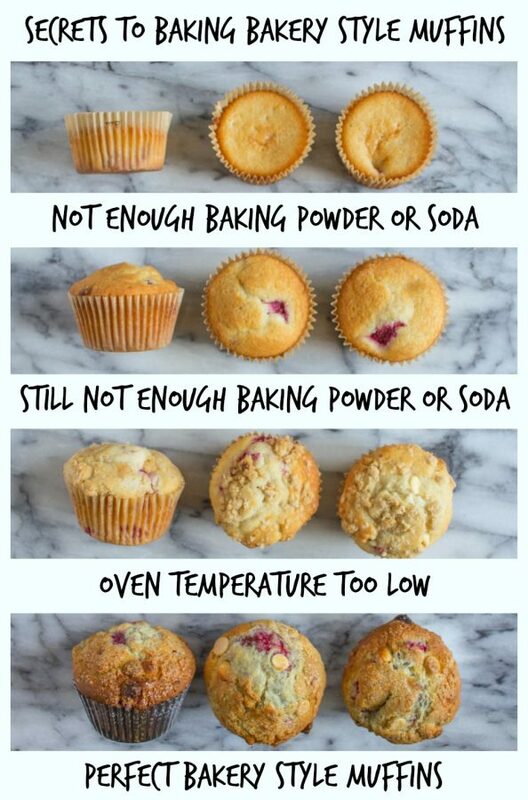 Both What Sarah Bakes and The Kitchen Whisperer were great resources on how to achieve bakery style muffins.